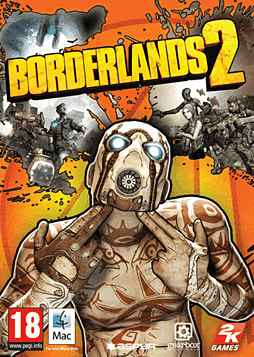 Borderlands 2 furthers the distinct blending of First Person Shooter and Role Playing genres to create the true evolution of the Role Playing Shooter. Team up with up to three other players for four-­-player online goodness, sharing mayhem as you spend hours leveling up your character and equipping them with one of the millions of badass weapons. 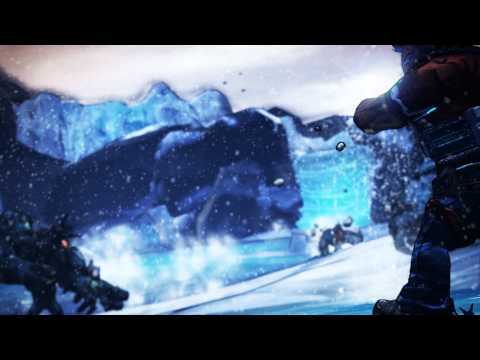 Borderlands 2 features a new visually stunning array of procedurally generated guns, shields, grenades, artifacts, enemies and more. Choose one of the four new character classes to be taken through a carefully crafted and connected story to all new and surprising environments across the living planet of Pandora. Make new friends, arm them to the teeth and fight alongside them on your relentless quest for revenge and redemption. All-New Characters and Classes: Choose from all new characters and classes including the Gunzerker, who can dual--]wield any two weapons in the game. Dual machine guns? Cool. Dual rocket launchers? Of course! Dual Sniper Rifles? Sure, if that's your thing! More tactical perhaps? There are multiple classes to choose from! . Play Online with Friends: Share your adventures with friends on both Mac and PC through a seamless system enabling you to drop in and drop out of a campaign without ever having to restart the game. .
World Connected Story: Left for dead in the frozen tundra of Pandora, begin your quest of revenge and redemption as the story drives you closer to the Hyperion Corporation and its evil founder, Handsome Jack. .
New Badass Gun System: Millions upon millions of possible weapons means tons of new and innovative ways to engage foes on Pandora. Fire, electricity, corrosive acid, and more will all be at your disposal. .
87 Bazillion...Everything: It's not just guns on Pandora, you will lust after procedurally generated shields,grenades, alien artifacts, class mods and much, much more. . Brand new enemies: Hulking, gorilla--]like Bullymongs, vicious predatory Stalkers and the Hyperion mechanical army, run by Handsome Jack, are just some of the new enemies you will face. Video Memory (VRam): 512MB *Apple original CPU's only, CPU upgrades not supported. NOTICE: The following video chipsets are unsupported for Borderlands 2: .